This unique Unicorn bouquet includes gorgeous Dutch Avalanche roses which have been carefully prepared beeswax. 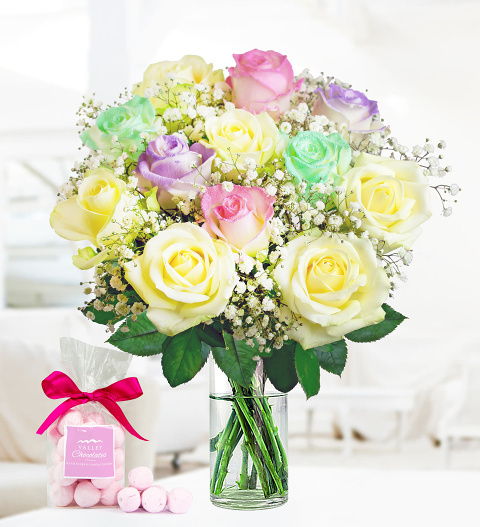 The superb pastel shades make these roses the perfect gift to impress anyone. We have also added gypsophila to complete this bouquet which comes with a FREE 48g Valley British made chocolates. Spoil somebody special for their birthday, anniversary, or any other celebration when you send these flowers!